​The name Jehovah's Witnesses was given by the late Judge Joseph F. Rutherford to his followers in 1931, and was adopted by them at that time. Because of their mass meetings, their zeal in carrying their message from door to door, and their extensive growth over the succeeding years, they have come more prominently into the public eye. They have been unfairly treated and misrepresented in many cases, some going so far as to call them disparaging names, from communists to cultists. We thoroughly disapprove of such conduct, though we believe that their public teachings should be open to appropriate public criticism. We are instructed to test by (1) the Scriptures (Isa. 8:20; Acts 17:11; 1 John 4:1-4), (2) reason (Isa. 1:18; Acts 17:2; 18:4) and (3) facts, all teachings presented to us as truth and to hold fast (1 Thes. 5:21) to those only which are "good," those propositions that are clearly in harmony with these three things. In this spirit we desire to make a general examination of their teachings. We hope that all whose desire is only for the Truth, including those associated with the "Jehovah's Witnesses," will give careful attention to this assessment. Originally, some of the brethren, who later took the name Jehovah's Witnesses, were associated with the Watch Tower Bible and Tract Society, which had been founded previously by Pastor Charles T. Russell in 1879. It is then that he started publishing the magazine Zion's Watch Tower and Herald of Christ's Presence. Previous to this Pastor Russell had started an independent Bible class in 1870, in Allegheny, PA. From this small, initial beginning, the Society had grown to a world-wide religious movement during his lifetime. These brethren of the Watch Tower were associated with the Bible movement under the tutelage and guidance of Pastor Russell from its earliest beginning for a period of about 46 years. After his sudden demise in 1916 there was a marked change that came upon the brethren associated in the Society. The days of Pastor Russell's ministry were joyous days of feasting on the Harvest Truth, fellowship in the Lord and growth in Christian service. Expressed in the words of one who underwent the changed conditions after 1916, we quote: "We all had the same bond of peace, the same spirit of oneness, the same hope of our high calling, the same work of service, the same Lord, the same faith, the same baptism and the same God as Father, all of which were the joy and rejoicing of our hearts (Isa. 52:8). But in many of these respects changes have set in, and now we are not any longer a united people; we do not, in many ways, believe the same things. Some of us have repudiated some of our former beliefs and have accepted discordant ones in their stead. Many of our former practices have been set aside, taking others in their place. Some among us have revolutionized against many of the teachings and arrangements that the Lord gave us through 'that Servant.' Leaders from our midst have made divisions among us. If our eyes of spiritual understanding are open, we must be able to see that these many things occurring among us must be, from a Biblical standpoint, significant." This was the Harvest Truth Movement that had been separate from the nominal systems of Christendom for over forty years at this point, 1874-1916, at the time of Pastor Russell's passing beyond the vail. It was this Truth work that was put in disarray. It was the first time in the history of the Christian Church, from the time of Jesus and the Apostles until 1874, that a religious group was entirely free from the contaminating influence and erroneous doctrines and practices of Great Babylon. It was in this movement of Christian brethren that, for the first time, the teachings of the Bible were put in order and taken out of confusion. The Ransom as the central feature of the Bible became prominent; while the various supporting doctrines of God, Creation, Man, Evil, Covenants, Christ, Holy Spirit, High Calling and Restitution—these were harmoniously set forth. Therefore, some who were not fully attuned to the Truth and its Spirit at the time saw a general significance as implying peculiar events, but they did not see any special Scriptural significance in them. We believe that these events are indicated in the Bible. Do we not recall the Lord's assurance that He would do nothing in His plan except such things as He would set forth in the Word (Amos 3:7)? We believe that these happenings were permitted of the Lord for special testing of the Spirit-begotten classes in particular and also the tentatively-justified of the time. It was the time for determining which consecrated ones would qualify to be of the Anointed, the 144,000, the Little Flock; and which ones would be of the Great Company, a spirit-begotten class lower than the Divine (Rev. 7:1-17; 14:1). A few short years previous to Pastor Russell's death, many people from the outside became associated with the Truth brethren as a direct result of the Great War that began in 1914. Pastor Russell's teaching had long proclaimed that year as the beginning of the great conflagration spoken of by Daniel the Prophet in Dan. 12:1; Matt. 24:21. These "watchers" had determined there was truth in the matter and it was being fulfilled before their eyes. Shortly after Bro. Russell's death, many of his teachings began to be changed and manipulated by the new management of the Society. This viewpoint was furthered in 1931 with the change to the new name "Jehovah's Witnesses." Five years previous, in 1926, all the writings of Pastor Russell were put in storage and not used, replacing them with those of the new administration. As a result the large group of newcomers and others had difficulty recognizing which changes were beneficial or not, due to their not being properly grounded in the Scriptures. The claim was that this change of name for the Society is supported by Isa. 62:2 and Rev. 2:17. We will quote Isaiah first: "The Gentiles shall see your righteousness, and all kings your glory. You shall be called by a new name, which the mouth of the LORD will name" (Isa. 62:2); and Revelation follows: "He who has an ear, let him hear what the Spirit says to the churches. To him who overcomes I will give some of the hidden manna to eat. And I will give him a white stone, and on the stone a new name written which no one knows except him who receives it" (Rev. 2:17). Their claim is that these passages refer to their Society alone (Watch Tower, 1931, p. 279); and in their publication New Heavens and a New Earth (pp. 234, 241). This assertion however, is without support, for the Isaiah passage specifies that when the Church is called by a new name, the Gentiles (the world in general) shall see (perceive) her righteousness, and all kings shall see her glory; but the world did not recognize the Church as such while they were in the flesh (1 John 3:1). The new name on a white stone (Rev. 2:17) likewise cannot refer to a designation given in this life, for this text specifies that the new name will not be known except by those who receive it, whereas the name "Jehovah's Witnesses" is generally known by the public at large. The new name in these texts evidently refers to the new nature and office which Jehovah gives to His faithful Church, "The Lamb's Wife," in heaven, and not to any designation given in this life. From 1931 forward, the J.W. 's have used the name "Jehovah's Witnesses" exclusively toward their own membership. In their above-mentioned book, New Heavens and a New Earth (p. 235) [published in 1953] they state, "Almighty God has manifested his blessing upon the name, for the sons of his woman Zion are his name-people, 'a people for his name.' The designation 'Jehovah's Witnesses' has become the symbol of a concrete message and testimony concerning God's new world of righteousness. It has become the emblem of a New World society that is now forming. Jehovah's Witnesses have ever since co-operated with the non-profit Christian corporation, Watch Tower Bible and Tract Society, using it as their administrative and publishing agency and legal representative." While it is true that Jehovah God has, all during the Gospel Age since the earthly ministry of Jesus Christ, been seeking out through our Lord Jesus, a people for His name (Acts 15:14), this specific people has been unknown to all but our LORD Himself, until such time as He sees fit to make it known to the world in general—that time being in His promised Kingdom. The Apostle continues in Acts 15 to note that after this selection is completed, Jehovah will through His Son, bring a blessing of restoration to His people Israel (vs. 16), and then again after this, to the whole world in general (vs. 17). The writer of the 1953 treatise would have us believe that each of the three parts of this passage refers to one in the same selected group of people, the J.W. organization—God's name-people, God's Israel and those generally blessed in His Kingdom! In their book Proclaimers of God's Kingdom (1993; p. 704) a former publication in 1982 is quoted, You Can Live Forever in Paradise on Earth, (1982; p. 190): "It is only logical that there would be one true religion. This is in harmony with the fact that the true God is a God, 'not of disorder, but of peace.' 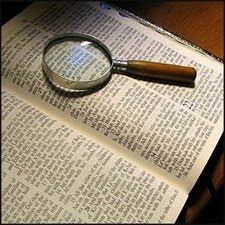 (1 Corinthians 14:33) The Bible says that actually there is only 'one faith.' (Ephesians 4:5) Who, then, are the ones who form the body of true worshippers today? We do not hesitate to say that they are Jehovah's Witnesses." So the declaration is that, since the Scriptures say there is only one faith and one baptism and the J.W. 's are "one group," they therefore, claim they are the group spoken of in these Scriptures instead of applying these Bible thoughts as descriptive of all Christian people who, in harmony with 2 Pet. 3:13 and Rev. 21 look for the new world of righteousness. Therefore, their restrictive misuse of this Biblical name is evident, and the thousands upon thousands of Christian people on this earth seeking to do His will, are according to them, cut off from His Divine love because they either refuse to serve the J.W. organization, or do not know of it. At the time previously mentioned above, when Pastor Russell died, and the brethren involved were split in two—several more divisions shortly came, dividing this large group into at least eight smaller ones. Others later would follow. Yet, the J.W. organization claims that none of these other groups ever bore any fruit and that they exist no longer; yet several of the original groups that were then formed still exist and span the globe in congregations great and small, speaking many different languages and not under the J.W. 's banner. The evidence points to there being an agenda within the J. W. organization to hide the true facts of the separation work. Nevertheless, we would state clearly that the Truth-loving, God-serving segment of the J. W. congregation, are true Christians as much as any other Christian group, God being no respecter of persons, and the giver of every good and perfect gift. TRUTHS HELD BY "JEHOVAH'S WITNESSES"
In common with many other Christian people, the J.W. 's teach certain basic doctrines found in the Scriptures, such as belief in the one God Jehovah, the Father (Eph. 4:6); in Jesus the Son, as our only hope of salvation (Acts 4:12); in the creation of man in God's image and likeness (Gen. 1:26, 27), instead of by a process of evolution from the lower animals (and in this they are indeed more faithful than many other Christians, even ministers, who are largely given over to the unscriptural evolution theory); in the condemnation of man to death (Gen. 2:17; Rom. 6:23; John 3:36; 1 John 5:12) by his Creator, not to eternal life in torment in a fiery abyss, at the hands of fireproof devils—a doctrine of devils indeed! (1 Tim. 4:1). In this stand they join with all of us enlightened Christians in repudiating the God-dishonoring creeds of the Dark Ages, in their hideous teachings on eternal torment which is imbibed from heathen religions. They hold, rather, to the Bible teaching that "God is love" (1 John 4:8, 16) and that, according to His Word, "all the wicked will He destroy"—not preserve to torment everlastingly and "they shall be as though they had not been"—"they are extinct" (Psa. 145:20; Obad. 16; Isa. 43:17). Hence, the J.W. 's are not deceived by Satan's original lie (Gen. 3:4), in which he openly contradicted God (Gen. 2:17) by saying, "You shall not surely die," for they accept Jesus' statement that Satan "was a murderer from the beginning," since in the beginning of human history he murdered our first parents by bringing death upon them, and abode not in the truth "… he is a liar, and the father of it" (John 8:44). They teach that Satan still broadcasts his original lie, telling many other lies to support it, thus deceiving many into thinking (1) that they will not really die, but will only seem to die, and hence actually will live right on, though seemingly dead, thereby furthering the erroneous idea that the dead are alive; (2) that they become like the angels, "you will be as gods" (Gen. 3:5)—angels (Psa. 97:9; compare Heb. 1:6; in the Hebrew of the Old Testament angels are 197 times called gods—spirit beings (Heb. 1:7); (3) "knowing [experiencing] good [bliss] and evil [torment]". The J.W. 's therefore teach, in harmony with the Scriptures, that "the soul who sins, shall die" (Ezek. 18:4, 20), and that in paying the penalty for sin, Jesus did not go into everlasting torment in a burning hell, for that was not the wages of sin, but rather that He gave "His soul an offering for sin" and "poured out His soul unto death" (Isa. 53:10, 12). Accordingly, they properly reject the theory of the heathen religions that Satan injected into the man-made creeds of various Christian sects, to the effect that the human soul or being is inherently immortal and that God created something that He cannot destroy. The J.W. 's teach to the contrary, based on the testimony of God's Word, which shows, that Jesus "brought life and immortality to light through the gospel" (2 Tim. 1:10), that even Christ's Church during their earthly sojourn could not then have immortality, for it was written of them that they "seek for glory, honor and immortality, eternal life" in the heavenly Kingdom (Rom. 2:7). Their indestructibility and immortality was not given to them until the first resurrection, when, it is written (1 Cor. 15:53), "this corruptible [the human, fleshly being] must put on incorruption [become spirit beings, when given life in the resurrection from the dead and are then incorruptible], and this mortal [one in the human condition in which death is a possibility]." Naturally the Church must undergo severe testing and prove faithful unto death before God would bestow such indestructibility upon them (Acts 14:22; Rom. 8:17, 18; 2 Cor. 1:5-7; 4:17; Phil. 1:29; 3:10; 2 Tim. 2:10-12; Rev. 2:10; 3:21). Some ministers, of various affiliations, after a more careful examination of the Scriptures on the subject of hell, have come to see that it is not a place of eternal torment, but that the Hebrew word sheol and the Greek equivalent hades, are variously translated in the King James Version, by the words hell, pit and grave, all of which, therefore, refer to the same thing; a covered condition, a hidden state, a condition of non-existence (for details see our booklet, THE HELL OF THE BIBLE). So it was that the prophet Jonah was in a floating grave, a hidden, covered condition, when he was in the belly of the great fish (Jonah 2:2 — see margin)—but there was no fire in the fish's belly—"belly of hell" where he was temporarily buried. Likewise, there was no fire in hell when Jesus' dead soul (Isa. 53:10, 12), His dead body (1 Cor. 15:2, 3, 20; Col. 1:18), was there (Acts 2:31). The J.W. 's likewise hold to the Scriptural teaching on this subject. They also properly teach that the Bible uses fire as a symbol of destruction (Matt. 25:41), that therefore "eternal fire" means eternal destruction, as seen in the "example" set forth in regard to the cities of Sodom and Gomorrah and other destroyed cities which are "suffering the vengeance of eternal fire" (Jude 7), and that "the lake of fire" is the figurative expression used to symbolize, not eternal life in torment, but "the second death" (Rev. 20:14; 21:8). We realize that some condemn the J.W. 's teachings on the points we have just mentioned. We believe that in most cases they do this because they have not examined the Scriptures carefully on these subjects, and hence have not come to see that the creedal views on these subjects are built, not upon the Bible, but upon heathen ideas and misconceptions taught during the Dark Ages, when it was considered proper to burn fellow Christians at the stake who were not considered orthodox in their beliefs. Let us be careful in our teaching on these subjects, lest we be found to be fighting against God, instead of for Him.